Whether you are looking to perform optimally in your chosen sport or simply optimise your life, you know you need to train and practice for those outcomes. If you want to perform better you need a training plan tailored for your discipline and individual needs. But what about nutrition and the attention you pay to what you consume? Are you leaving your nutrition and fueling for training or performance to chance? 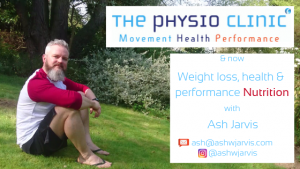 Working with Ash through the Physio Clinic Bristol you can optimise your nutrition approach to improve performance, aid recovery and squeeze the most out of your training and ultimately reach your potential. We can all smash ourselves in the gym but your progress, the strengthening of your body and improving performance happens as much post workout as it does in the weights room. In terms of recovery nutrition should be a top priority if you are serious about performing your best. Nutrition coaching helps you maximise your potential by addressing the nutritional needs of the individual. This can range from getting to a racing weight, eating to optimise recovery, race fueling strategies or adjusting your intake through the various demands of the season. A nutrition coach can provide you with a purposeful and focused approach to nutrition which will ultimately lead to improved performance. We offer bespoke plans and nutrition programming led by a nutrition coach, who will work with the individual to align the programming with their objectives and knowledge level. Whilst generic programmes can be a good start they typically do not address the unique needs of the individual, their nutritional requirements, likes, dislikes and lifestyle factors. A nutrition coach will evaluate, analyse progress, navigate around sticking points and educate you. And to ensure continued progress a coach will provide a level of accountability as well as modify and tune the approach as per your needs on a regular basis. Initial consultation – this is where we drill into your goals, likes/dislikes, things you have tried, training and competing commitments. Weekly check in – mandatory to ensure we navigate the journey together! Meal templates – struggling to meet your calorie and macro breakdown? Our meal templates seek to give you an approach to building your meals and meet your daily nutritional needs. Education – we don’t just want you to “do what I say” we also want you to understand “why”. We can analyse, we can help you plan, guide you, provide regular feedback and adjust based on your changing needs. You need to follow through on the commitment you made to yourself and work as hard on your nutrition as you do in the gym. You need to be open and honest, provide the input we ask for. We ask specific questions and gather specific data for a reason, to get you RESULTS! Whether you are experienced or a novice being open to new ways and methods is critical. Remember as a coach our goals are to get you results, we won’t suggesting anything to trip you up or make you look silly. Ash our nutrition coach offers a couple of ways to get started. Nutrition Clinic – 60 minute in person clinic appointment (£50 with emailed plan and remote follow up) to triage where nutrition coaching would help you lose weight, improve sports performance and training recovery. 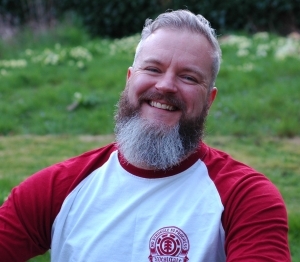 Ash will run a clinic Saturday mornings and you can book directly with him. S&C focused nutrition plan – Nutrition coaching plan to compliment an S&C training block (Introductory offer of £75 for a block) – includes nutrition consult, nutrition plan to match S&C training block goals and aims. Appropriate macro breakdown and meal templates for block.